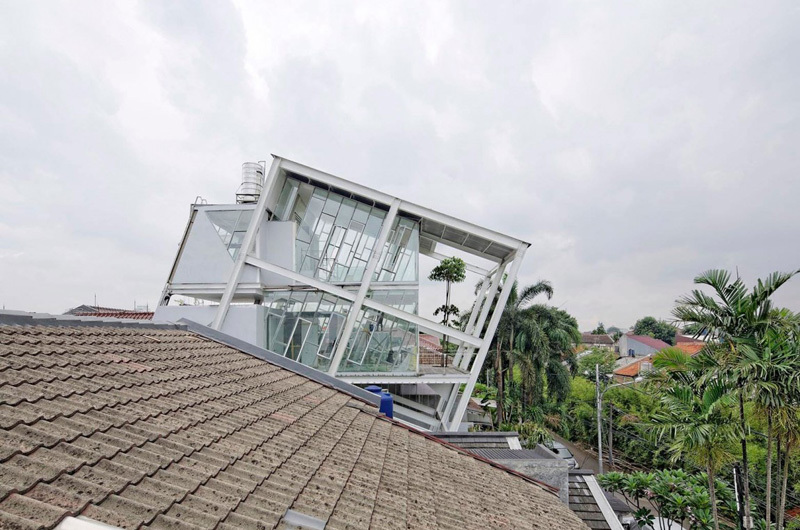 Have you ever seen a house that is slanted? You'd be amazed with this one! What people usually look for in a contemporary residence is its extraordinary features that will surely captivate the owner’s heart. Homeowners believe that their house also mirror their lifestyle and their character as well. In fact many homeowners of today may never deny their desires of having a unique and comfortable house in one. From the house building design down to the different spaces in the interior, the owner made sure that their own house will highlight the words “unique” and “stunning.” Now, we will witness how the designer responded to the demands of the owner and see how this house design stands out from the others. Unique feature: This house exposes its extraordinary features as the architects observe the environment and react with the proposal. 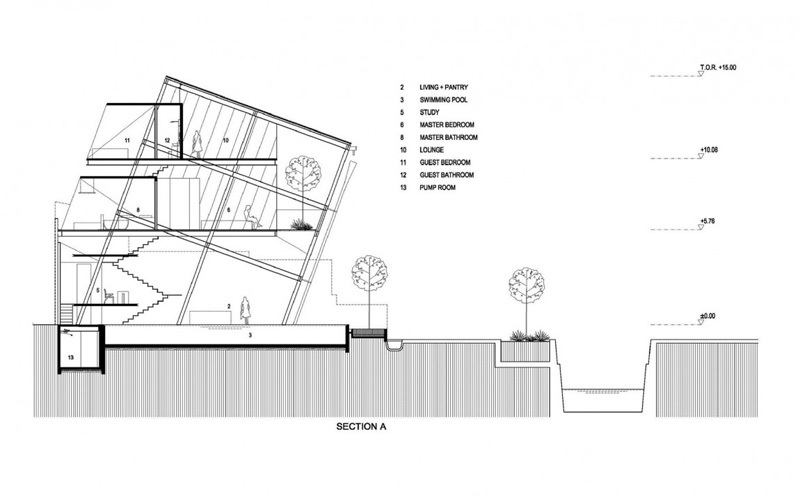 Take a look at how the unique slanted structure of the house building stands out in the area. 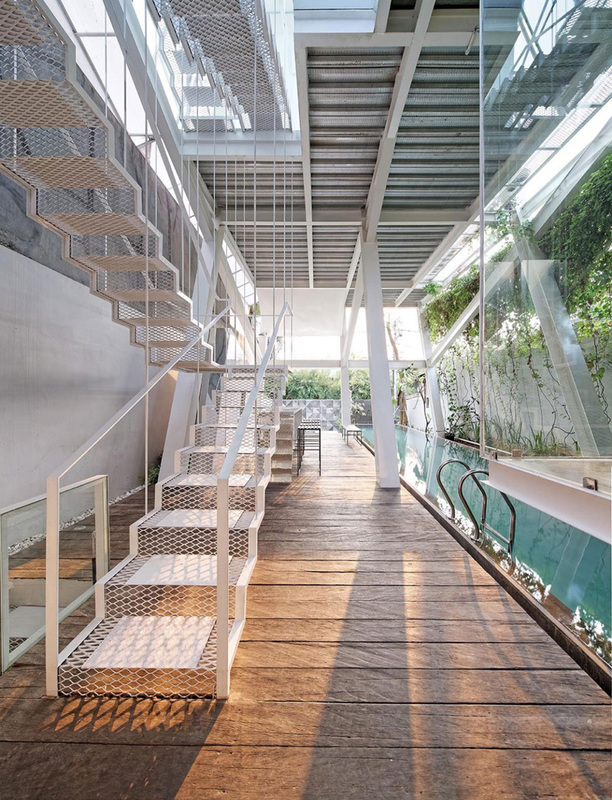 Its amazing glass materials made this house spectacular and extraordinary. Neat and clean features of the interiors may also observed in the first level of the house where the swimming pool and pantry is located. 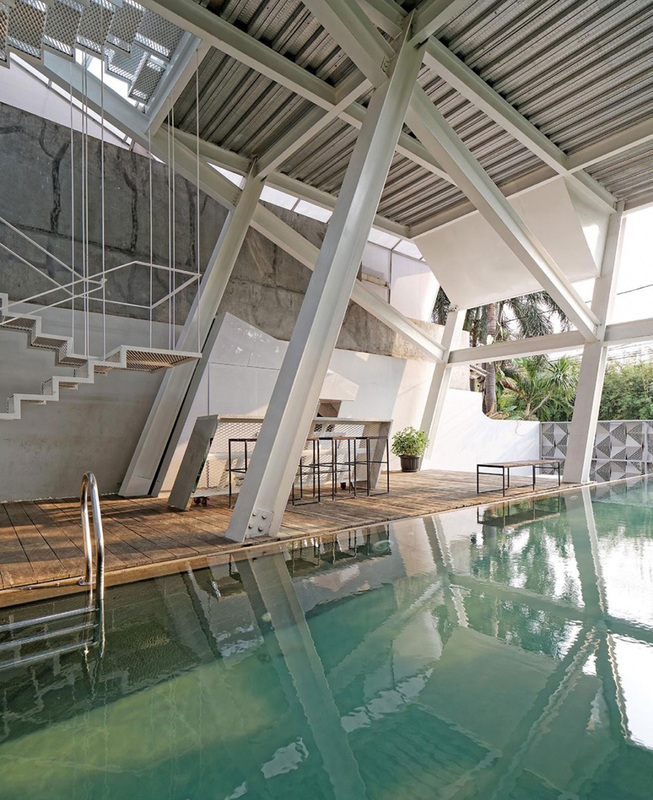 From this angle, the slanted structure of the house exposes its surprising design that will draw the attention of the homeowner to spend quality time in this area. See how the lines and patterns are well displayed in this area from its ceiling to the floors as it explains the modern architecture is. The cool water in the swimming pool near the pantry may surely provide a very warm and comfortable feeling to the owner and its guests. The wooden floors complements with the stainless ceiling as it feature the simple but modern concept and style of the interior. At the second level of the house, you will have the opportunity to see the different houses in the neighborhood. 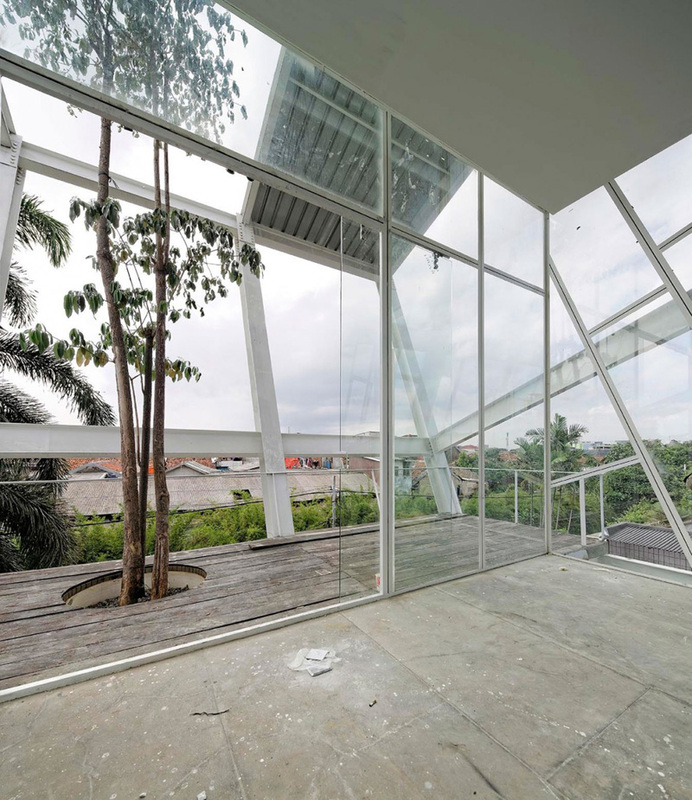 See how the glass materials in the walls of these house building highlighted transparency and its stylish details. At the upper level of the house, the homeowner may still comfortably experience the flawless texture of the floor and the amazing design of its walls and windows. Who will not claim that this bedroom offers a very cozy and spacious area to relax and rest after a whole day work in the city? From this angle, you will certainly see that the classy look of the area complements with the environment-friendly exteriors. 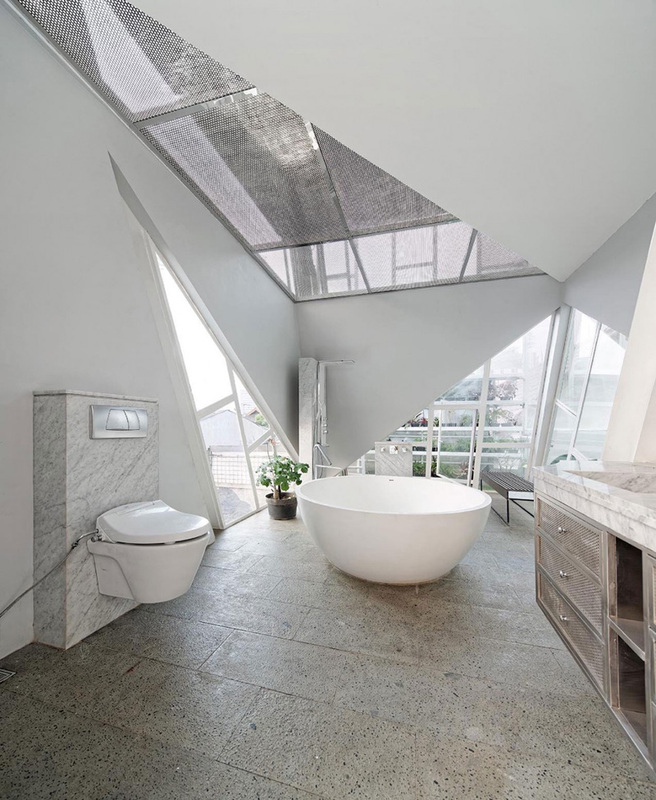 Exclusive shapes of the latest fixtures and accessories in the bathroom underline its modern ideas. 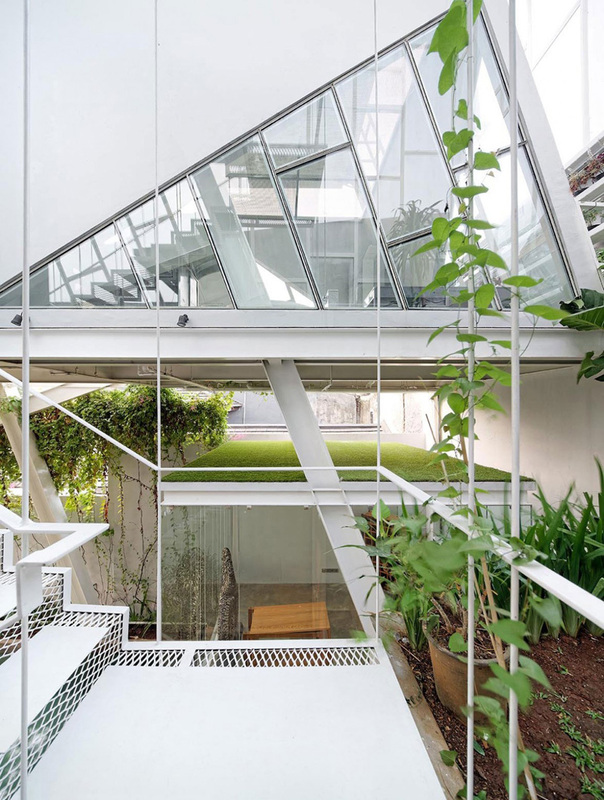 Different plants are carefully placed in the interior of the house to allow the green and clean concept and ideas. Outstanding scheme of the house building that certainly state it’s distinct and state-of-the-art model. As we have witness the different spaces in the house, we can certainly define how the private areas are placed in the middle that may compare to sandwich between the more public areas. 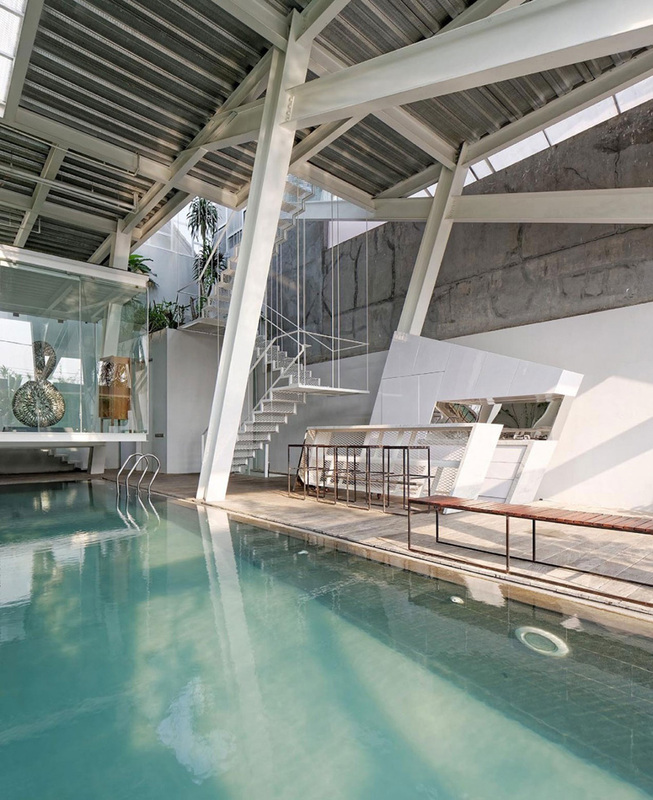 Well I personally like the design of the whole building that relies on the steel structure as a representative of a modern house which depends on fabrication. The square framework that is slanted as a symbol of instability, a deconstruction of an established situation around. 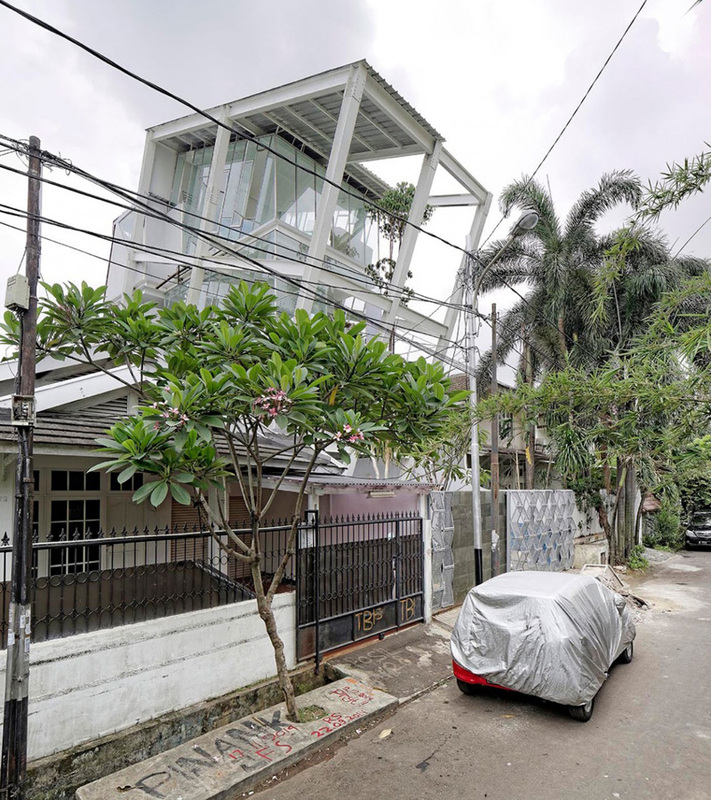 We may obviously say that the Budi Pradono was successfully implemented the requests of the homeowner. 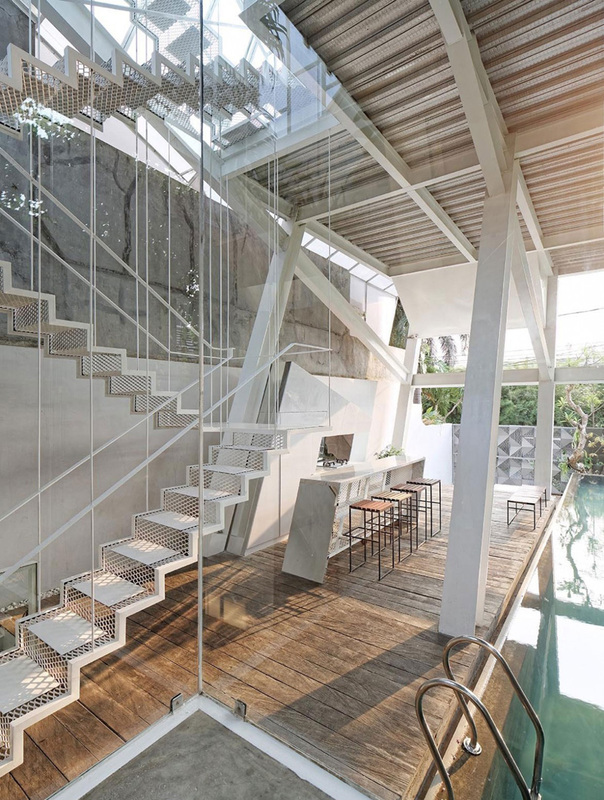 Certainly this house design may provide you enough ideas and inspiration to apply in your home in the future.